Memorial Day—Labor Day. Lifeguards on duty for swimming 10am—8pm Sat/ Sun only Memorial Day—mid-June; 10am-8pm daily mid-June—Labor Day. Free to Village residents; $5/person daily cost for non-residents. 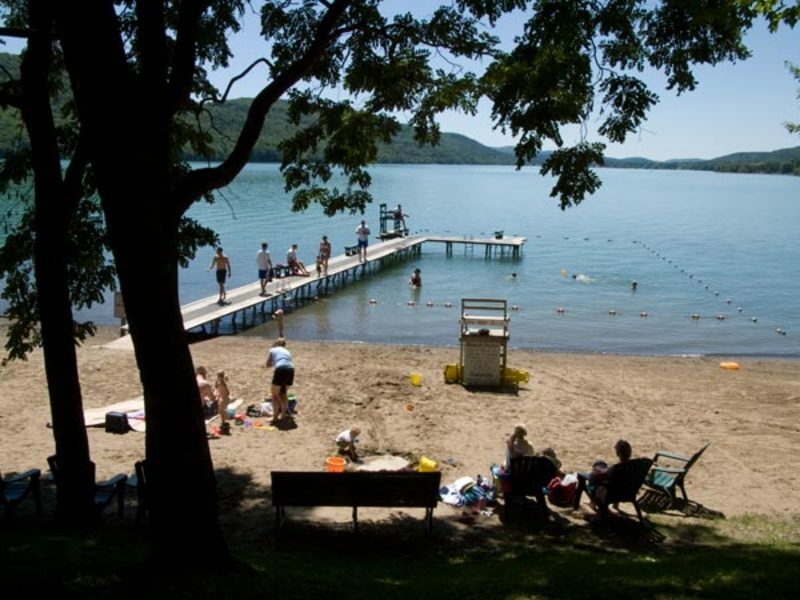 The Park consists of 1.07 acres and is located three miles from the Village of Cooperstown, in the Town of Otsego. It is accessed by vehicle from State Route 80 and by boat from Otsego Lake. Residents of the Village of Cooperstown and Town of Otsego are allowed to use Three Mile Point at no cost. **All others must purchase a day or season pass, available at the park or at the Village Office. The caretaker is in residence seasonally from Memorial Day to Labor Day. Permits: Use of the Park for organized events or rental of the Picnic Pavilion requires a Permit application to the Village of Cooperstown.